In 2004 two therapists decided to open a Center that would provide therapy for children with Autism. They would contract with professionals and would provide the therapy on their own. They soon realized that the need for services in the Rochester area was greater than what they had prepared for. They grew quickly from two initial students to ten by the end of the first year. 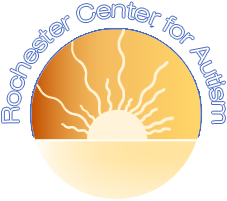 Today the Rochester Center for Autism provides therapy and support for over 70 children with Autism and their families. The therapists who opened the Center continue to own and operate the business. The Rochester Center for Autism is family owned and operated. The Center strives to create a nurturing environment where everyone can succeed, students and staff! The first three therapists that were hired continue to work at the Center as Supervisors. Our philosophy is that if you are happy, everyone has a better chance of succeeding.